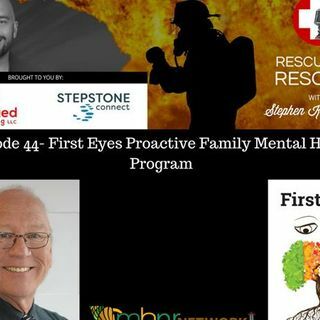 Join My Friend to the North in Canada, Dan Bowers and I as we discuss the unique program he created for families of first responders. A retired Detective Sergeant, Dan spent over 30 years with the Ontario Provincial Police (O.P.P.). His resume includes; Criminal Investigator, Communications Centre/911 Supervisor, Intelligence Officer and O.P.P. Liaison to Interpol International Fugitive Investigations Section. Prior to his career in policing, Dan spent 4 years as a proud member of the Royal ... See More Canadian Air Force. Dan retired in 2008 and began his work as a consultant and training facilitator in the fields of private security and policing. He is a dynamic and passionate speaker who has lectured both here at home in Canada and internationally. Dan has been living with Post-Traumatic Stress Disorder (PTSD), depression and anxiety for many years. Personal experience, as it relates to the effects on family, has taught him that early detection is critical for anyone who may be affected by PTSD. Subsequently, providing meaningful awareness and training has become his passion. Dan has always been extremely proactive in matters concerning police and public safety. His philosophy is straight forward; knowledge and experience must be shared where it can help others.